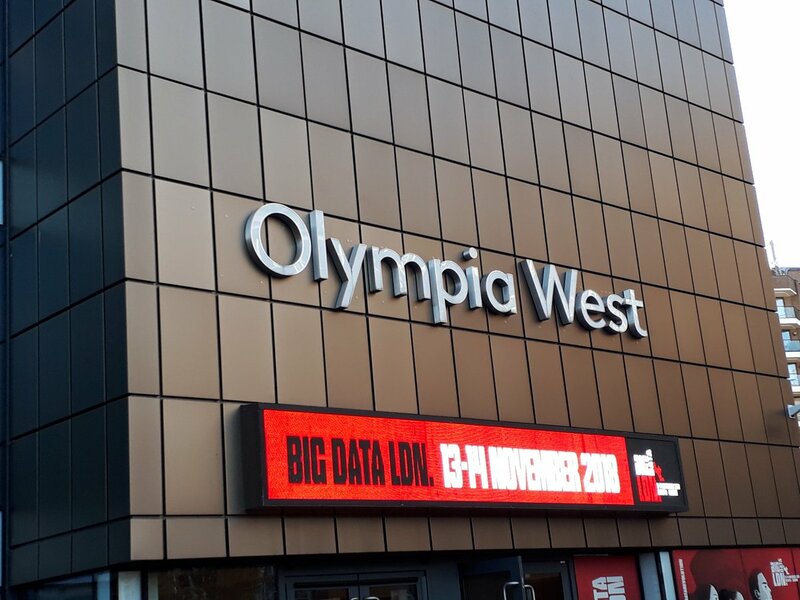 I attended Big Data LDN 13-14 November 2018. The event was busy with vendor product session and technical sessions. All the sessions were 30 mins so there was a quick turn around following each session. The sessions ran throughout the day with no break for lunch. Two institutions were mentioned as leading the way. 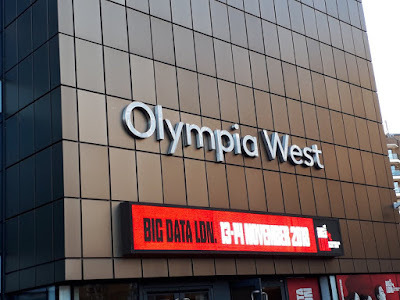 The Alan Turing Institute as the national institute for data science and artificial intelligence and the Ada Lovelace Institute, an independent research and deliberative body with a mission to ensure data and AI work for people and society. Accuracy of sentiment analysis is hard. Sentiment analysis determines the degree of positive, negative or neutral expression. Some tools are bias. Topic modelling was a method discussed for latent dirichlet allocation (LDA). Topic modeling is a form of unsupervised learning that seeks to categorize documents by topic. The changing face of governance has created a resurgence and rebirth of data governance. Data is important to classify, reuse and be trustworthy. A McKinsey survey about data integrity and trust of data was mentioned that the talked about defensive (single source of trust) and offensive (multi versions of the truth). The end of the first day Big Data LDN assembled a unique panel of some of the world’s leaders in data management for The Great Data Debate. Dr Michael Stonebraker Turing Award winner the inventor of Ingres, Postgres, Illustra, Vertica, Streambase and now CTO of Tamr. Everyone will move to the cloud at some point due to economic pressures. 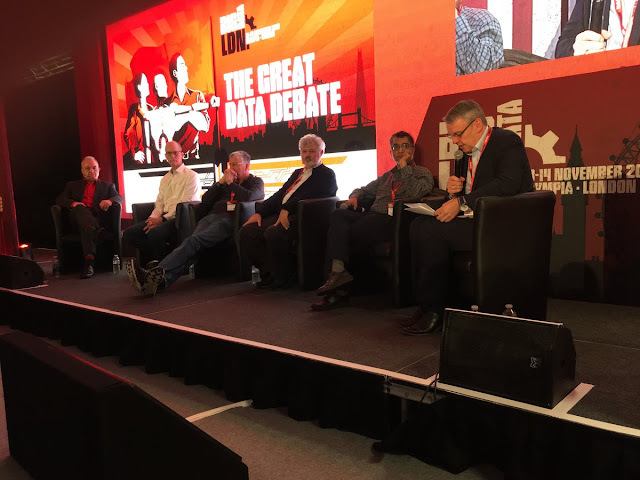 Data lineage is important and privacy needs to be by design. It is possible to have self service for easy analytics but not for more complicated things. A question to also consider is why not clean data at source before migrating it. Democratizing data will require data that is always on and always clean. A database management regime in a large database management ecosystem. A need a best of breed of tools and a uniform lens to view all lineage, all data and all tasks. Diversity of engines for storage and processing. Keep track of data meta systems after cleaning, data enrichment and provenance is important. Keep training data attached to the machine learning (ML) model. It is a data unification problem in a data catalog era.